Home » Blog » Parenting » Parenting FAQ » Top 5 reasons why do people Homeschool their kids ? Why do people Homeschool their kids ? This is the first question that comes to our minds whenever we hear the term homeschooling. There are many reasons why parents choose homeschooling. Now this goes to a very personal level and the decisions are completely made by deciding body (Parents or Guardians). Below, I have tried to list some of the major reasons why parents or guardians choose homeschooling. Bad experience at school which develops into fear for the kid. This is the most common cause that may result in a child and his parents choose homeschooling. This could be due to an insult/punishment by a teacher or due to bullying done by other students. Such incidents develop a fear in child’s mind for school. These type of reasons are usually referred to as Psycho social issue. Also another important thing I would like to say is – If your child is refusing to go to school, please do not ignore. Try finding out why your kid is refusing to go to school. It could be just an excuse or may be symptom to a bigger problem. Kids are genuine and innocent and in today’s world its imperative to listen to them as they may show you the true picture. No matter how small your kid is, trust him or her and listen to why he may be refusing to go to school. Weak immune system resulting in frequent infections. Or a child on constant medication. or some medical condition that prevents a child from attending proper school. Health is wealth so in either of the above scenarios, mostly school is delayed or Homeschooling option is chosen. Another reason why people choose homeschooling is because they want to choose their own curriculum and teaching methodology. It could be due to reasons like relocation for e.g. if someone has recently shifted from UK to India and want to follow the same curriculum as was being done. Or someone who needs to move multiple countries during a short span of time may choose home schooling as that gives consistency to a child. 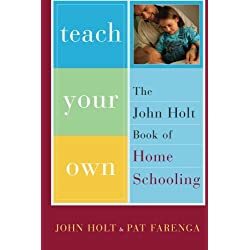 At time people choose homeschooling due to reasons like – parents dissatisfied with the quality of education provided in schools or the amount of pressure kids are exposed to. Or the methods being used to teach kids. Some Parents choose homeschooling as they want to take a path of child led learning as opposed to instructor based learning in schools. People also choose homeschooling because they want to instill a value system in kids which they believe is not possible by sending them to school. Any of the above reason may results in parents choosing homeschooling for their kids. Recent incidents across the world have now forced parents to reconsider whether they want to send their kids to school. News of sexual exploitation, murders, easy availability of drugs. life threatening mobile games are everyday news nowadays. These recent events have made parents much more conscious of homeschooling as an mainstream education option for teaching their kids. Everyone wants their child safe and since parent’s can’t control the external factors some of them have taken to homeschooling. High school fees hike, Admission issues, unsatisfactory results from institutions, lack of qualified staff in schools are some of the other reason why parents homeschool their kids. 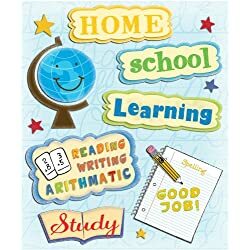 Now, after we have talked about why do people homeschool, Do you have any of the above reasons for homeschooling matching with your situation ? Do you want to homeschool your kid ? 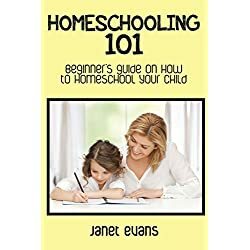 If you have answered Yes to any of the questions above, here are some pointers that will help you to start Homeschooling. If your child is in the mid academic year of school, then complete this academic year. Next, Choose whether you want to continue with the same school syllabus or you want to choose your own curriculum . Locate nearby activities and homeschooling centers/groups that will allow you and your child to go and access their materials. This is a great way to connect and discuss with other homeschoolers as well. Sarah Jannie Brown has wonderful books/Activity books/Journals which can be followed as curriculum. All funschooling moms create a space at home with different baskets and arrange books accordingly. A child is free to select whichever basket he/she wants . This is a method based on practical life oriented tasks. You can find learning resources which is available in ample – Thanks to Internet and Pinterest. We will talk about homeschooling in greater details in coming posts. Remember, homeschooling is always a challenge and requires everyday efforts. So what helps is being patient and exploring ways that work for you and your child. You are on a wonderful journey where consistency is in high in demand so hang in there and enjoy it. And kuddos to all parents who have choose Homeschooling or want to choose it for their child. neha this is such a great post. honestly i wasn’t familiar with the term “homeschooling” until lately someone saw me doing activities with Meera on insta story. i am not planning homeschool or that’s not the reason why I initiated activities with her. it just made her enjoy her day and learn at her own pace and have fun. honestly, she surprises me with her activities. i love doing activities with her because its so so much fun to see her enjoy and love it but i also want to send her school only and only for one reason. so that she has friends and socialise among her age group. Neha, some good-looking resources here. I’m sharing this on Facebook so my daughter-in-law can read it. She has just started to home-school her two kids (two of my grandchildren). There may be something of help here for her.